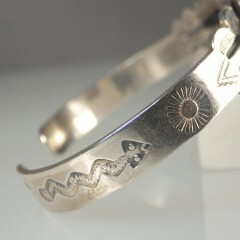 So, here's the deal .... 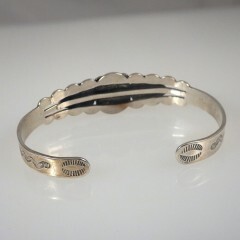 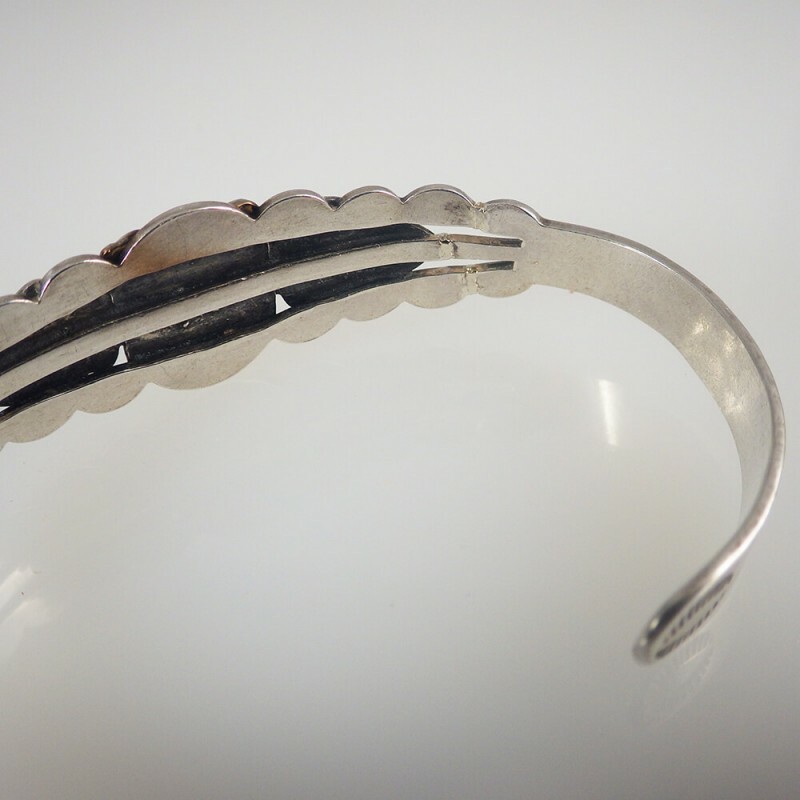 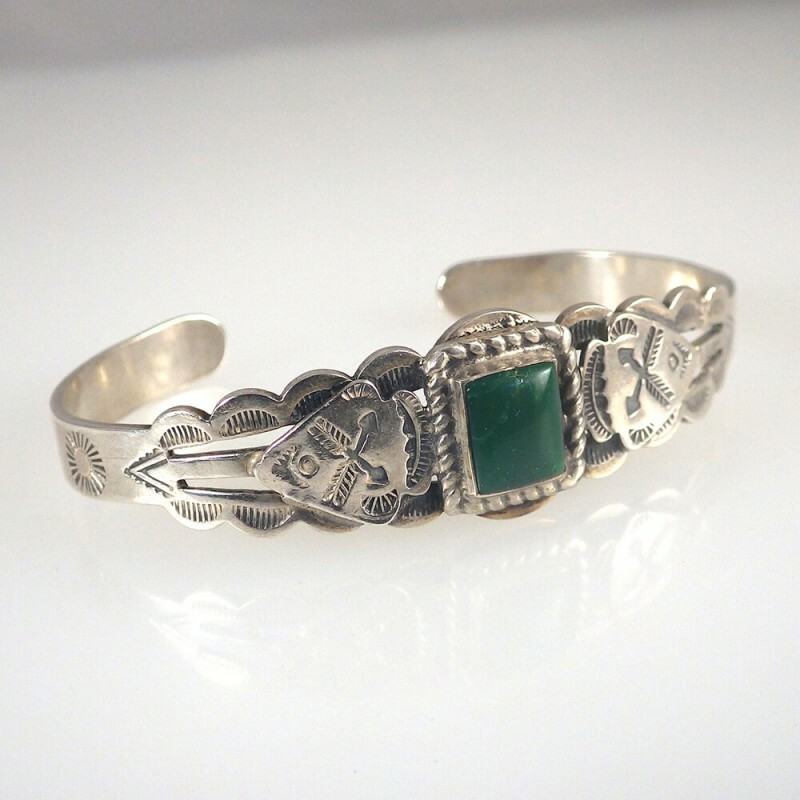 When I acquired this vintage Fred Harvey era sterling silver Maisel's cuff bracelet, the side was snapped off, but given Maisel's Indian Trading Post Route 66 history, I just couldn't bring myself to consider it scrap. 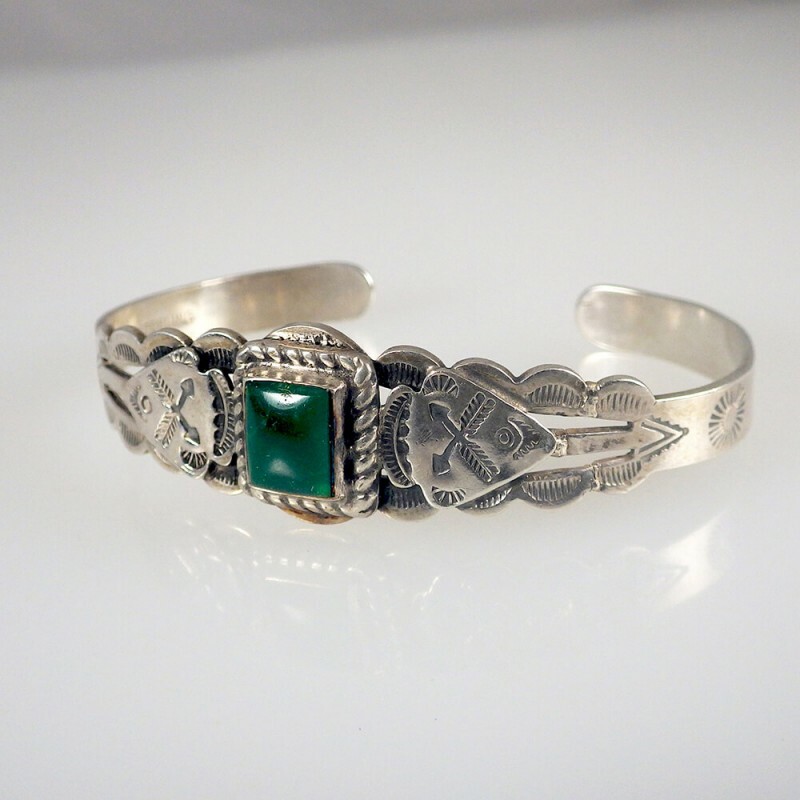 I would imagine most vintage jewelry lovers and collectors will understand. 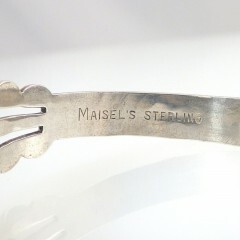 It was a clean break, so the choice seemed pretty straightforward: I had it professionally repaired. 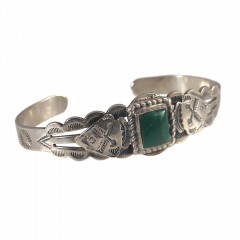 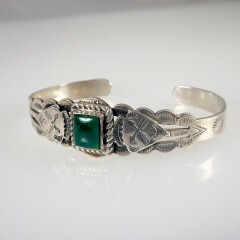 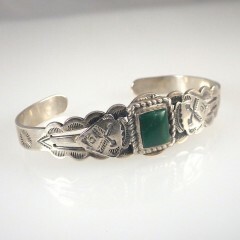 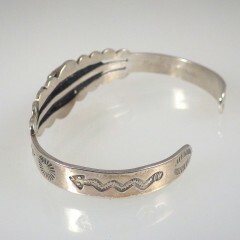 Featuring a square green turquoise stone in a silver twist frame at the center, the bracelet's character is further enhanced by the classic Native American stamping of arrows on triangle-shaped arrowheads, sun symbols and rattlesnakes often found on Navajo Indian handmade silver jewelry. The bracelet front measures 16.5mm (5/8 inch) high, while side to side, the inner diameter is 2-5/16 with a 7/8 inch gap. 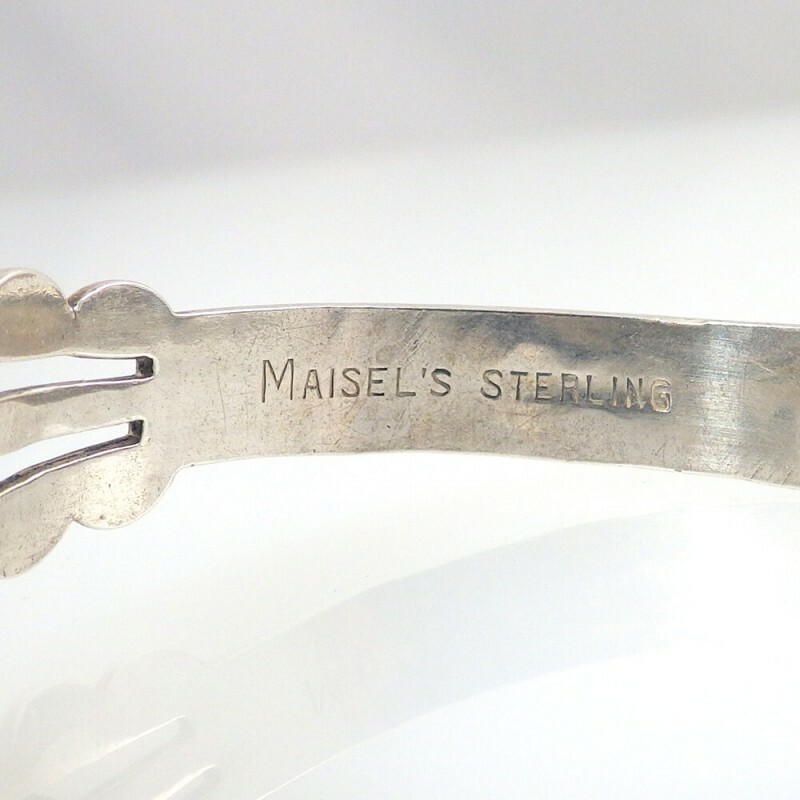 Weight: 14.4 grams.